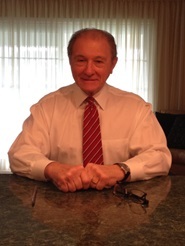 Peter Gambino is an experienced Financial Planner, who has been working with clients for nearly thirty years to help them work toward their financial goals by keeping goals and objectives in focus, staying in contact with them throughout all market conditions and making investment adjustments as economic or lifestyle conditions warrant. He maintains a constant commitment to putting service first. By using this strategy, Peter has developed many long lasting client relationships. Peter is a CERTIFIED FINANCIAL PLANNER™ as well as a Tax Accountant with years of experience. He offers clients an assortment of quality non-proprietary investment choices. Please don’t hesitate to contact him by phone or e-mail. He can help you make sense of today’s investment climate.